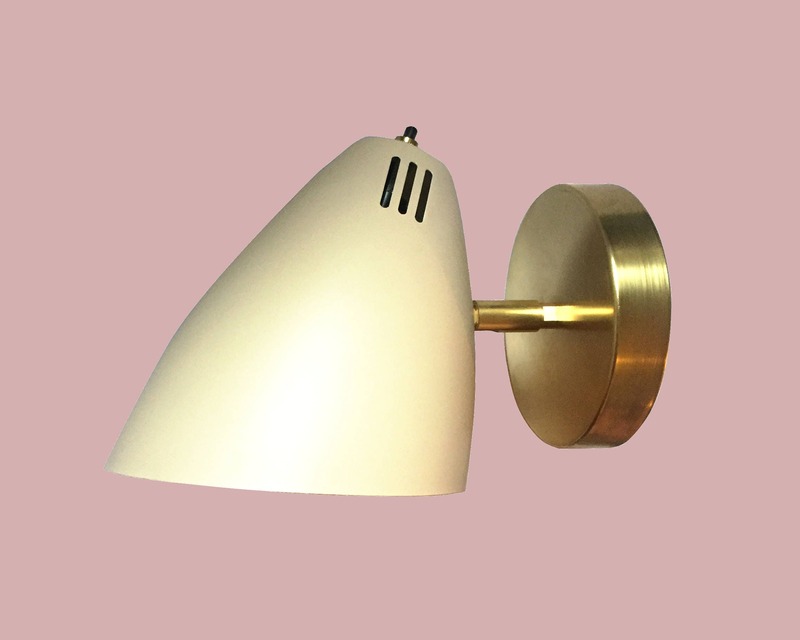 I designed this mid-century style sconce while I was staying with friends in the Los Feliz neighborhood of LA. 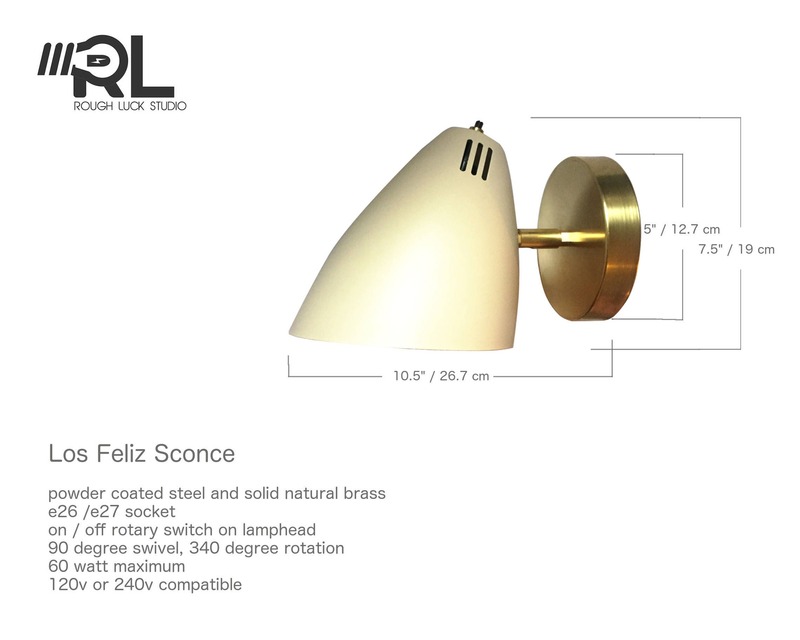 Sunny, simple, and fresh, I included a rotary switch on the lamp head. 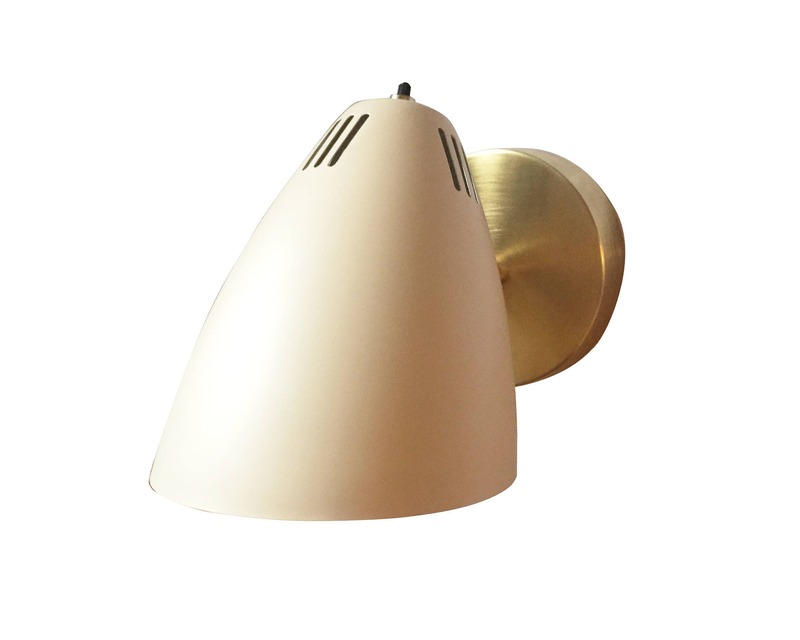 I picture this fixture over a creative workspace, or as a pair on either side of a bed. 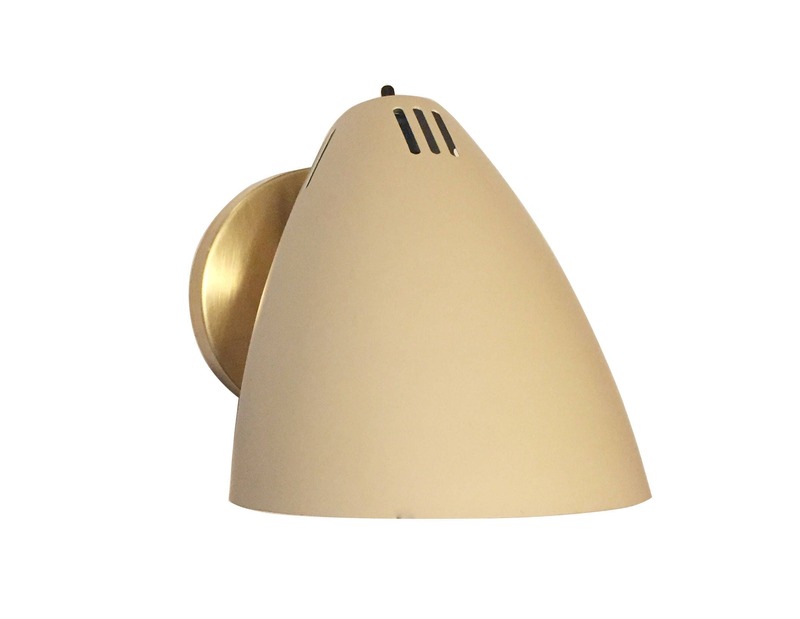 Hand-crafted of solid, unlacquered brass and powder-coated aluminum. 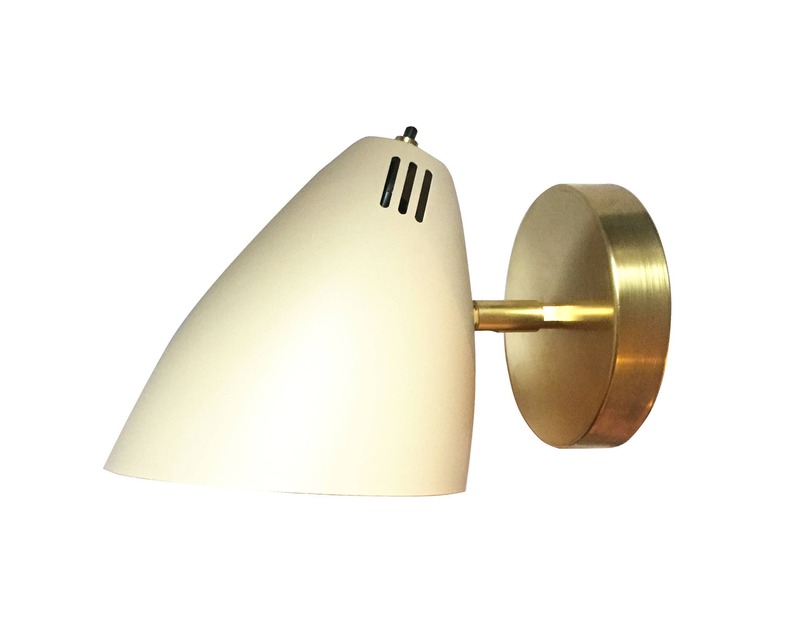 The brass is not lacquered, but is layered with a light layer of matte wax. If left untouched the brass will darken and patina. Regular polishing will maintain the original hue.